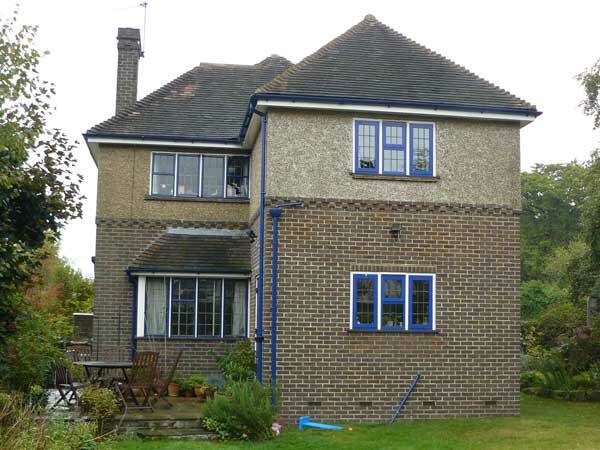 2 storey extension with blue powder coated aluminium windows in hardwood subframes. "What a difference the extension has made for all of us, and how did we manage before? Please thank all the guys for their hard work and good humour throughout the process - it made things so much easier for us." "Throughout the project Glenn was extremely pleasant and listened to my needs, was able to give advice where appropriate and to interpret my ideas into action."